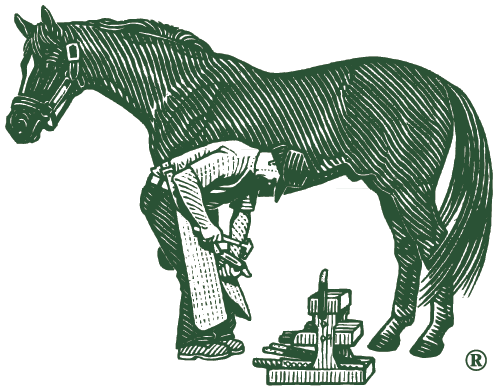 I am writing this letter in regards to your Farrier’s Formula. I have had horses now for over 30 years and this is the first time that I have used a supplement that really works. My Saddlebred has had a cracked foot now for over three years now. The crack comes out of the coronet band and goes down to the bottom of the foot. I have tried everything, even soaking the foot and keeping it moist. My blacksmith went to a symposium down in Kentucky and said that they were raving about this Farrier’s Formula nutritional supplement. He suggested we give it a try as nothing else seemed to work. Well, when I saw what the results were, I was truly amazed! In just seven weeks, my horse grew a healthier foot and the crack is completely gone out of the coronet band. All that’s left are the remains of the old crack, which will be trimmed away with the next shoeing. My blacksmith has since started five other problem-footed horses in our barn on it and I am confident they will have the same results. Thank you for such a wonderful product.